Android broke the shackles of being an Operating System used in only smartphones and tablets when, Samsung launched the Galaxy Camera, a Camera running on the full power of the Android OS. Now in 2013 it seems that the little Green Android is going to power up the kitchen. You did hear me correctly, Dacor a California based home appliances company announced Pre-CES an Android powered wall oven. There are two types a single wall oven and a double wall oven. The 3o inch “Smart” oven comes with a 7 inch device called the Discovery IQ controller which runs Android 4.0.3 Ice Cream Sandwich. The specs of this device are quite decent considering its an oven. The ovens are definitely not cheap, as the single wall oven costs $4499 and the double wall oven will cost around $7499. 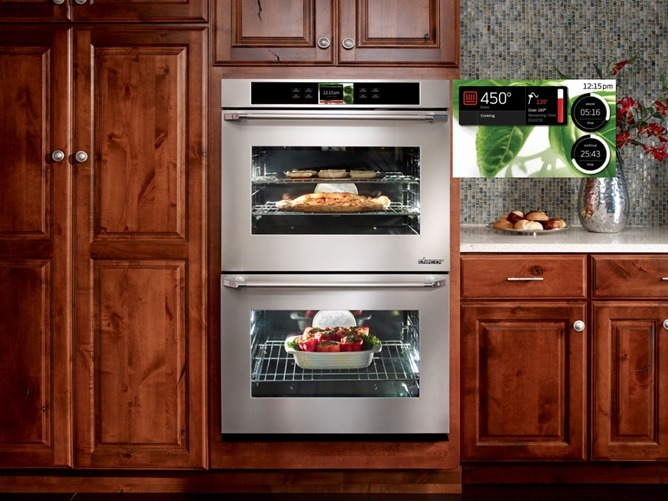 The ovens will be available by Summer 2013. So, no more waiting in the kitchen for the roast to cook, you can play a quick game of Angry Birds to pass the time.